Christmas season is on, the holidays have started, and the gifts are also beginning to flow in every household. How about giving a gift which can serve a dual purpose? The gift can be used for an attractive purpose and can also be used as home remedies against simple ailments. 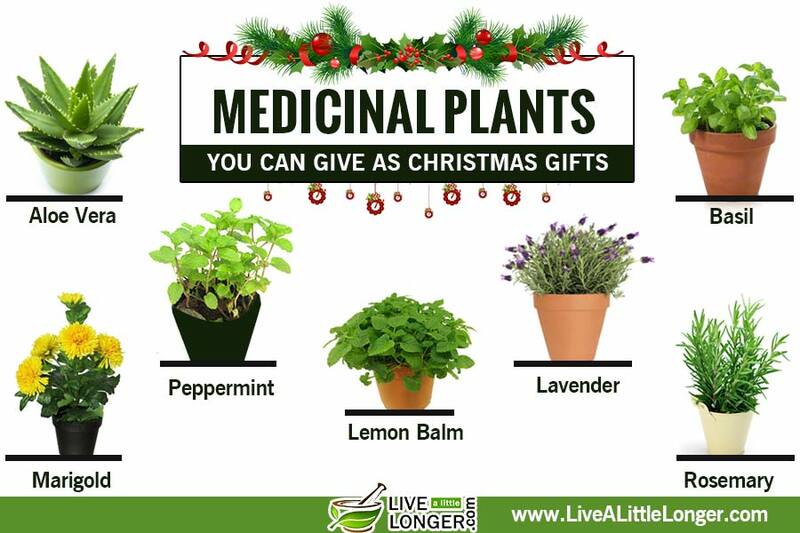 In this article on Medicinal plants you can give as Christmas gifts, you will know about the potted herbs and their medicinal uses. The herbal plants can be packed beautifully in the bright paper etc. But an herbal plant to be given to families? Oh! C’mon, who would not love the wonderful convenience of having something that can be added as spices in recipes, natural fresheners or aromatic substances that can liven up the atmosphere and add to the taste in a dessert. You must kindly understand that these gifts mean in the sentiment than the price tag. The gifts you can find anywhere else, in the holiday seasons as you will have leave, there will be plenty of options for you. Ensure you remain practical and gift the perfect one to the guys who will love it. If you gift a rock and roll music to a guy who loves peace, then your loved ‘gifted’ will be passed on to another or it will be lying the cupboard. There are, however, two types of Christmas gifts – one you can buy the other you cannot. All said and done; these gifts can be the most rewarding type as it shows your affection and love for those who are special in your life. This article is meant for those who don’t know anything about gifting a medicinal herb, we discuss in details about medicinal plants and their uses. An herbal plant given as a gift can double up as a beautiful masterpiece as well as for medicine. Since they are herbs, they can flourish the recipient home for many years if taken good care of. Some of the herbal plants are mint, rosemary, sage. Read about them more in the article. These herbal gifts can be grown either in pots or if you have a garden, you can plant them there. Many of the herbs are locally grown in dispensaries and in winter months such as December choose the kind of herbs such as rosemary and thyme. You might think me crazy, but it has been used since ancient times to assist in healing simple wounds etc. However, gift it to a person who loves nature or it will be used for purposes to stop animals. Note the instructions to grow aloe vera and present it in the gifted card. The substances present in this plant helps the human body in combating ailments such as indigestion and acid reflux. The laxative compounds present are barbaloin, aloin, and aloe-emodin responsible for anti-inflammatory effects on gastrointestinal tracts. The herbal plant pots or a stem in a pot – these pots can be attractively painted by your children and then given to the loved ones. Always remember that the herbal pot can either be bought in the stores for gifts or you can first buy a pot and then paint it attractively. Then put organic soil and the plant leave it for a few days and then decorate accordingly to be given as a gift. The plant can be easily grown indoors with sunlight and enough water. It can also be grown in the garden. Its leaves can be used as air-fresheners. In recipes, some of the easily remembered names are basil-garlic grilled pork chops, basil goat cheese pizza and the basil vinaigrette recipe. However, when you are searching the market, select basil plants with bright green leaves and refrain from selecting those which have yellow, brown or black spots. They contain essential oils with the names citronellol, limonene, terpineol, eugenol that have anti-bacterial and anti-inflammatory properties. The other medicinal compounds are beta-carotene, cryptoxanthin, zeaxanthin. These play a role in various disease and aging processes. French lavender is said to be easily grown indoors or outdoors if provided the correct conditions. You can note down the instructions or buy them in a beautifully written card and present along as a gift. In recipes, you have to experiment with lavender; the best way is to start with a tiny amount of flowers and with experience add to the quantity as you go. The flowers have been known to taste good with champagne; chocolate cake; used in ice creams and sorbets. It can be used in stews, wine sauces, sorbets etc. The recipes that you can use lavender is lavender honey, honey ice cream, lemonade, lollipops etc. Extensively used in aromatherapy for calming and relaxation, this herb can also reduce pain when it can be applied to cuts. The coumarin compound can dilate blood vessels or open them up which can assist in reduction of pain and headache. The main components of this oil are terpinen-4-ol, linalyl acetate and camphor. You can chop its fine leaves and use it on fruit salads with honey. Mix it with apple cider vinegar and use for dishes instead of plain vinegar. For sustained growth of this plant, get the info from a gardener and present it in a proper beautiful card. You can also add it herb butter, sorbets, fruit drinks and would you believe in custards, egg dishes, casseroles and soups. Lemon balm acts pretty much the good stuffing for lamb, pork or poultry. 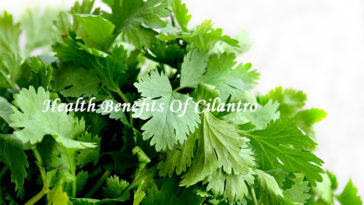 It is also used in marinades and sauces for fish. This herb can make a deadly combination in recipes when you add with pepper, parsley, thyme and chervil. A very good herb that can ease insomnia, herpes, flatulence, insect bites as well an upset stomach. 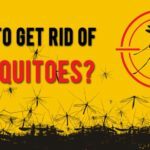 The main component is eugenol, which can kill bacteria, reduces symptoms of muscle spasms. The color says it all, it can use for décor and would you believe it can be used for pest control? Many gardeners say the show by marigold flowers is unsurpassed. The food items it can be used to make are omelettes, shrimps, capers, artichoke hearts etc. 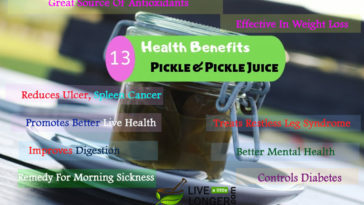 One of the main components is Vitamin C, that is known as a powerful antioxidant and can prevent, cancer, cardiovascular diseases and paralytic strokes. The other antioxidants are lycopene, zeaxanthin and lutein which can prevent blindness and eye diseases. The important acid is calendic acid which can cure the gastrointestinal tract and can soothe indigestion and stomachaches. 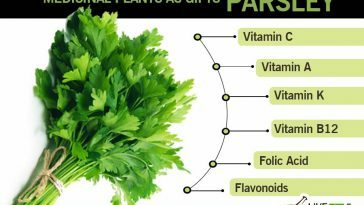 Some of the recipes in which parsley is used are turkey soups with parsley dumplings, chimichurri (Argentinian sauce served with grilled foods such as chicken, beef, steak and seafood); you can also have parsley salad with raisins and walnuts. Regular consumption of these leaves can assist in regulating the blood pressure. The folic acid can act as a tonic for the heart. 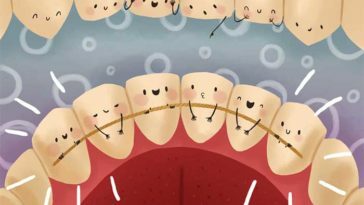 Used for curing bad breath, it is also rich in trace minerals and vitamins A, B and C. The high concentration of fluoride and boron can assist in curing osteoporosis and thinning of bones. The peppermint ribbon cake is famous as a dessert. The other food items that you can make are peppermint biscotti, red velvet peppermint cake etc. Suffering from indigestion? Sipping of this tea can provide relief. It can also cure headaches. Menthol the active component can cure insomnia, infection and irritable bowel syndrome. Due to its lemon-like flavor, it can be used with garlic and other vegetables for recipes such as roasted pork tenderloin, roasted lamb, braised beef, dry turkey etc. This herb can assist in concentration and memory, and sweeten the breath. The main component is rosmarinic acid and other oils such as camphene, cineol and these are known for anti-septic, anti-fungal properties. Sage can be used with eggs in an omelette, with chicken etc. Sage can also be used along with asparagus in shaved pecorino. French add this herb to cured meats, pork dishes and stuffings. In America, it is used with turkey. 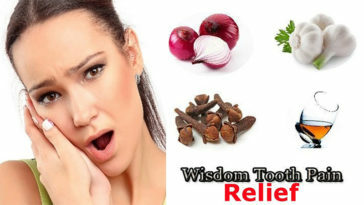 It can assist in curing for throat and mouth inflammation. The other compounds are a-thujone, borneol, tannic acid and other substances such as cornsolic acid, cornsole and nicotinic acids. If the person to whom you have gifted this plant knows well about using herbs in a dish, then she will bless you for a lifetime. There are many who use thyme with scented plums; broccoli and the well-known dish known as sabayon. 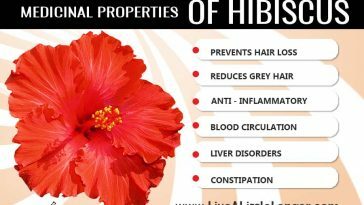 You can use this herb for chest congestion, gastric problems, coughs and indigestion. The active component is thymol and the other substances are geraniol, borneol etc. You can make smoothies with chamomile for your diet. It will delight your tastebuds. The other items you can make with chamomile are chamomile cupcakes and honey glaze etc. The magical component is the flavonoid, apigenin which acts against stress and anxiety. Brewing the chamomile tea can act effectively by keeping the cortisol levels at control. Another important component is luteolin, which acts as an antioxidant, reduce fever, and pain reliever. 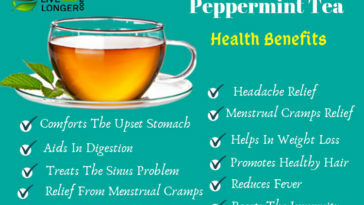 The tea made with this herbal is good for health. Kindly note that the root and leaves can be used for medicinal purposes. One of the most popular herbs in America, it is used to treat infections of the urinary tract, sinusitis and wounds. The chicoric acid in some of the Echinacean types assist in enhancing the immune system of the body. It is also been shown to provide relief for arthritis, and skin conditions. Best known in the treatment of migraines, the component is parthenolide that can suppress two substances such as serotonin & prostaglandin responsible for migraines. Too much of prostaglandin can cause menstrual cramps and having feverfew tea can assist in curbing these symptoms. Known for its antidepressant properties, from moderate to mild depression, the important chemicals are hyperforin, hypericin and pseudo-hypericin. They can enhance the availability of brain chemicals such as norepinephrine, serotonin, dopamine thus stimulating positive feelings. A bunch of these flowers and your garden can become a spectacular sight to the visitors. You can use this flowers in a cake or it can also be used for making cider in Christmas. The other name of this herb is Pansy, Wild Violet, Wild Pansy and Heartsease. Some of the substances it contains are saponins, methyl salicylate, flavones, anthocyanin and essential oils. Its diuretic properties make it an effective remedy for urinary tract problems. Present only the wild heartsease as it can be used for herbal remedies. You can also present air fresheners which are laden with herbs and fruits. You can use citrus fruits for this reason. You can use an old jam bottle, put warm water, put the lemon and some herb and freeze. It can be used effectively as air fresheners. You can also make out some new combinations such as ginger, basil, lavender, whole cloves, oregano & rosemary. So now you know that herbal plants can also be presented as gifts for Christmas as well as New Year. Wish you a Happy Merry Christmas! This article is also for those who want to bring an herbal plant to home as a gift to family members. There are also possibilities that you can gift yourself and the family an herbal plant a gift by acting as the Santa Claus. What can be better, if you know about the alternative medicine and you can use them also for home made recipes? But select the best one so that it caters to your needs. If you have bought an herbal wonder home, the difference lies in only that you know the gift. But ensure that you open it only on Christmas day – enjoy the moment. And ensure that you tell others that you gave it to yourself and the advantages of having an herbal wonder in your garden or indoors which can help the kitchen. Remember, it is important to love and respect others but is essential to be self-generous too.